The contributors to this volume range over 2,000 years of history as they show how Confucian values spread throughout the region in premodern times and how these values were transformed in an age of modernization. 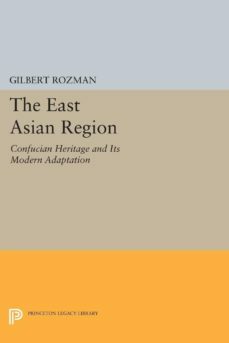 The introduction by Gilbert Rozman discusses the special character of East Asia. In Part I Patricia Ebrey analyzes the Confucianization of China; JaHyun Kim Haboush, that of Korea; and Martin Collcutt, the much later diffusion of Confucianism in Japan. In Part II Rozman compares types of Confucianism in nineteenth-century China and Japan and their adaptability in the twentieth century, while Michael Robinson adds an overview of modern Korean perceptions of Confucianism.Originally published in 1990.The Princeton Legacy Library uses the latest print-on-demand technology to again make available previously out-of-print books from the distinguished backlist of Princeton University Press. These paperback editions preserve the original texts of these important books while presenting them in durable paperback editions. The goal of the Princeton Legacy Library is to vastly increase access to the rich scholarly heritage found in the thousands of books published by Princeton University Press since its founding in 1905.